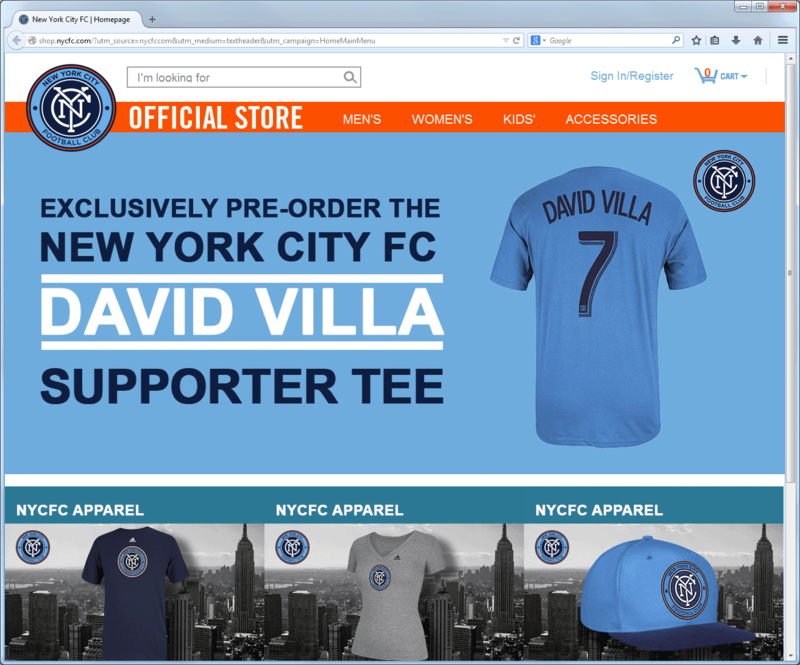 NYC is Blue: It's David Villa! It's official! 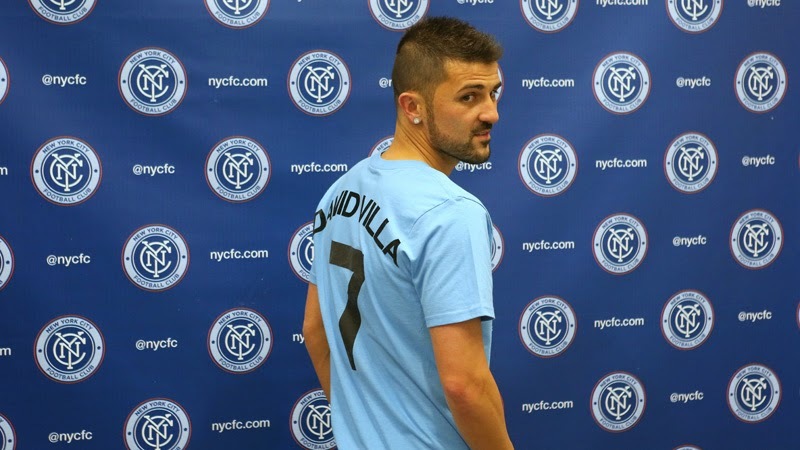 Spanish striker David Villa has been introduced as NYCFC's first player. 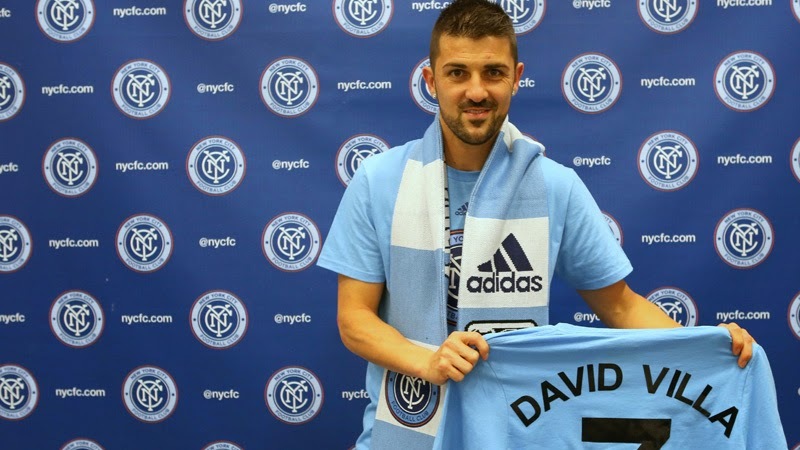 Today, New York City FC is excited and proud to announce the signing of its first player, Spanish superstar and World Cup winner David Villa. The 32-year-old, who last month helped his former club Atletico Madrid to the La Liga title in Spain, joins the newly-formed Major League Soccer team for a three-season commitment. 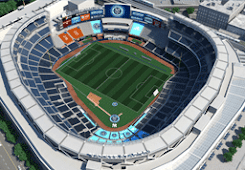 As the club begins to assemble a competitive and dynamic squad, fans in New York will have the opportunity to watch one of the biggest names in world soccer when the Club’s inaugural season begins in 2015. “David Villa is undoubtedly one of the most accomplished soccer players and best strikers in the world,” added Jason Kreis, Head Coach, New York City FC. "I couldn't be happier that we have acquired such an amazing talent as our first-ever signing. 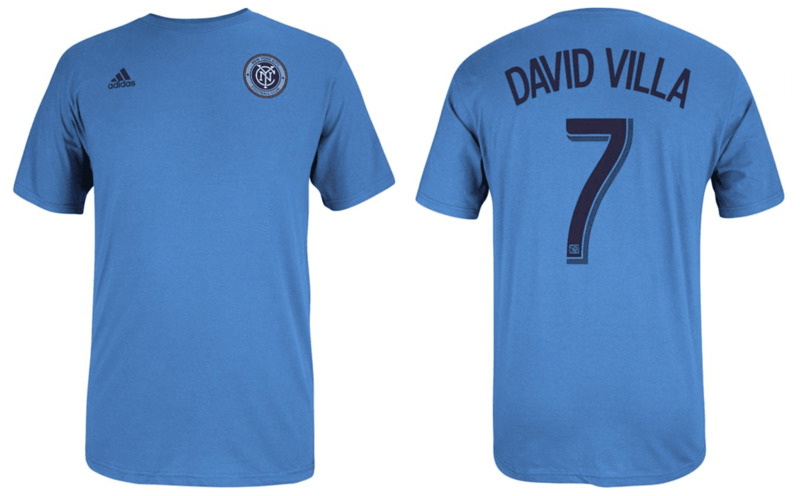 David will be a shining example of what it will mean to be a New York City player and a leader for us on and off the field. He is hard working, he is a natural competitor, he is a winner at heart, and he is a terrific man. David has checked every box for what we were looking for in our first signing and it is a great day to be a member of this growing family of a club." After almost a decade, Villa remains one of the world’s best strikers and is a hero in Spain for his performances in the domestic league and from his international success playing for the national team. Villa will wear the No.7 shirt as he has done throughout the majority of his career including his time in the formidable Barcelona side between 2010 and 2013. Look at that resume - this is an amazing get for City. Villa is on top of the football world right now, and now NYCFC is right up there with him. The farther Spain goes in the World Cup, the more exposure our club gets. 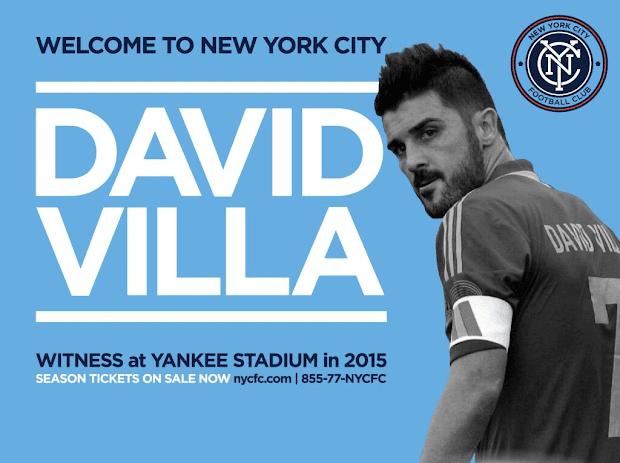 And can you imagine the World Cup Final party NYCFC will host if Villa is playing in the match? In the absence of an official kit, this is a good choice. 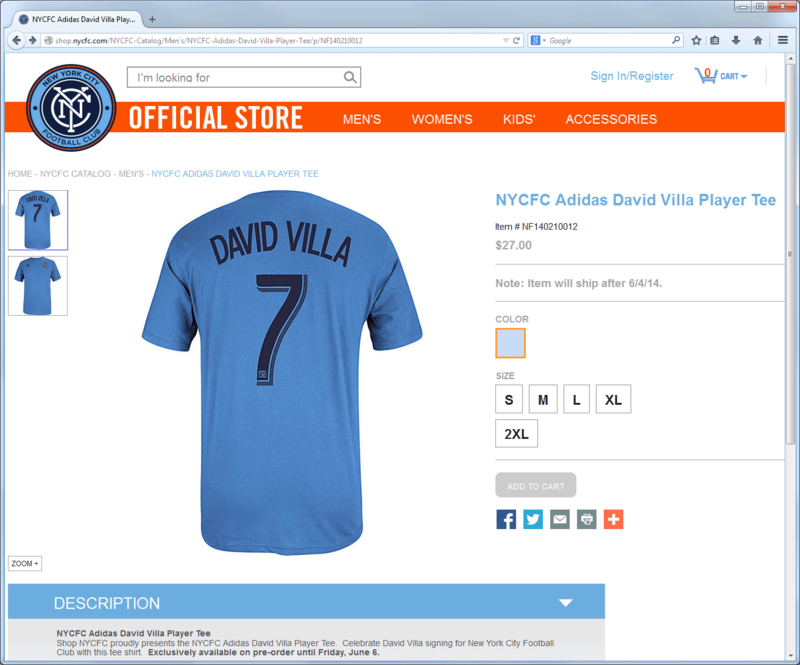 Not, incidentally, the shirt David Villa was wearing (and holding) in his signing photoshoot. That was a straight off-the-rack t-shirt with his name and number applied in a generic font. Still, I don't think we can read anything into the design. Unfortunately. I'm a major believer in simple and classic sports design, so a plain sky blue shirt with NYCFC crest (and no sponsor) would be pretty much ideal. Bold strokes. Pair that with white shorts and blue socks, maybe a dark blue collar to set it off, and you've got a winning look. But I'm getting ahead of myself. One thing at a time, and it's impossible not to be smiling from ear to ear right now, as our club gets its first player. And now that we have our first player, we need to figure out what we're going to call them. I've been pushing "Pigeons" as a club nickname since our first meeting, but it doesn't really seem to have taken off. Others have suggested "Night Owls" or "Insomniacs" after the city's famous nickname, but those too have failed to catch imaginations. Have to keep working on alternatives. It's a great day to be an NYCFC fan. A major leap forward in the building of our club!